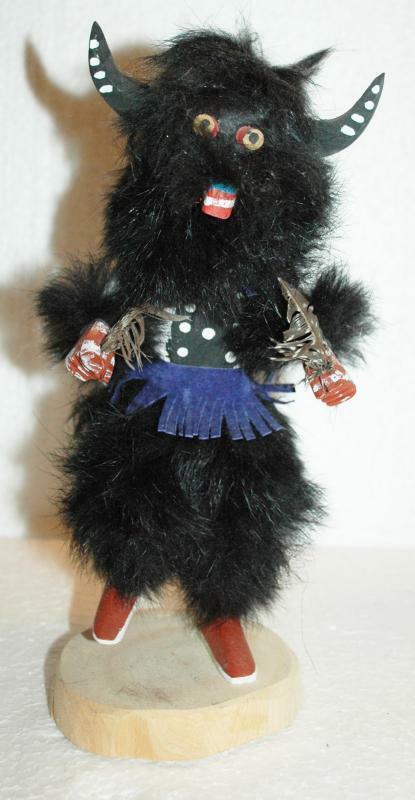 Buffalo Kachina Doll made by artist T.G. 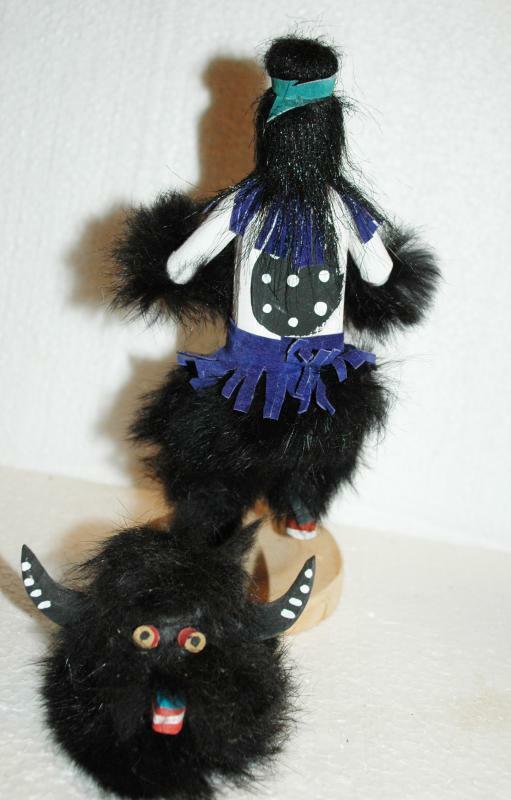 Benally Handmade, One of a Kind that is 9.5" tall.. 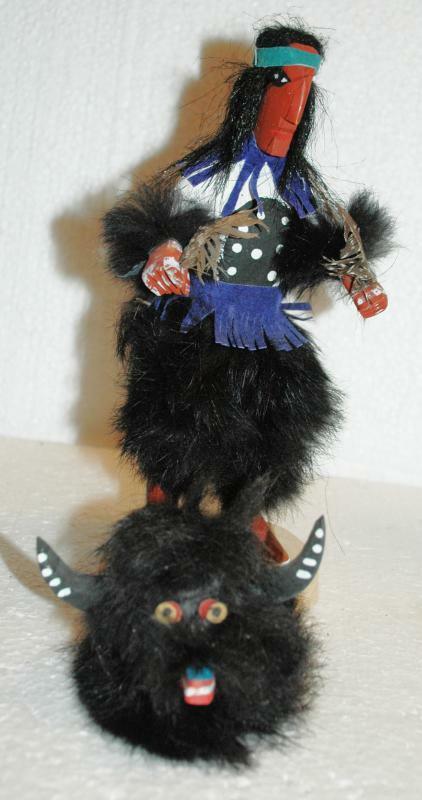 The buffalo mask or headress come off the head to reveal a wood carved man. 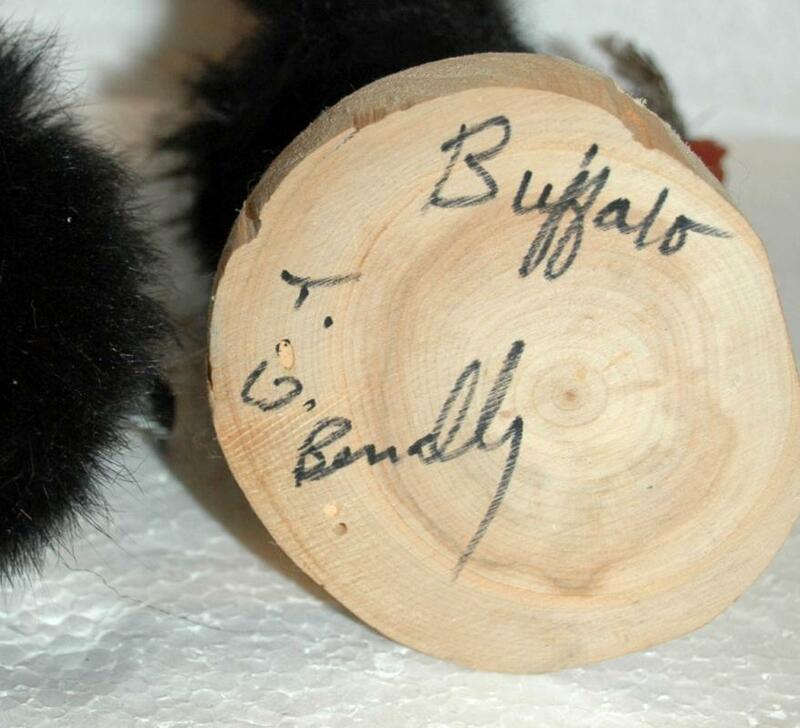 It is mounted on a wood platform and signed on the bottom. It is made of fur , leather and wood. 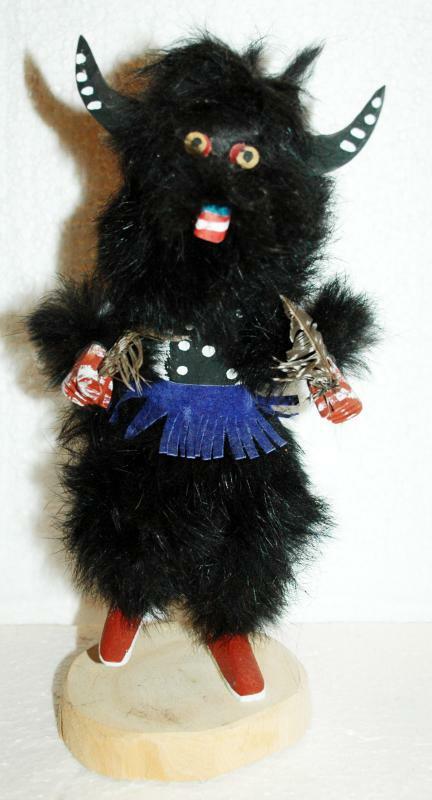 Items Similar To "Buffalo Dancer Kachina Doll made by artist T.G. Benally Handmad..."